Just as expected, the Galaxy Note 9 will be revealed in August. Samsung sent out invites to its next Unpacked event yesterday, along with a teaser video that cryptically confirms that, yes, the Note 9 will still come with a pen. But now, it appears you’ll be able to get one in a very yellow-looking gold. The announcement date wasn’t unexpected. Samsung usually reveals its Note devices in the second half of the year, and Bloomberg had already pegged August 9 as the announcement date. Meanwhile, the device also passed through the FCC, so we all but knew it was coming soon. The date is a couple of weeks earlier than last year’s event, suggesting Samsung may want to get more of a head start against this year’s iPhones. Current rumors suggest the Note 9 will come with typical flagship specs like a Snapdragon 845, 6GB of RAM, and 64GB of storage. 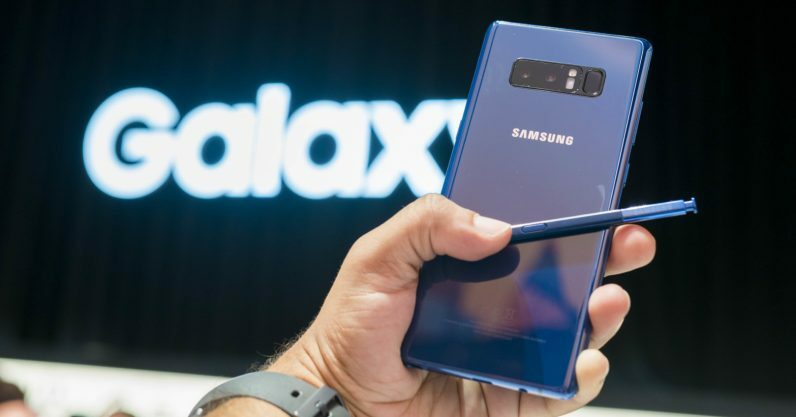 Early rumors said the Note 9 would be the first in the series with an in-display fingerprint reader, but more recent ones suggest that’s been pushed back to the Galaxy S10. The aforementioned Bloomberg report also suggested the camera would be the highlight of the Note 9’s announcement. I imagine we’ll be seeing the same variable aperture found in the S9, along with a similarly dramatic leap in image quality. We’ll be on deck come August 9, so stay tuned for more.